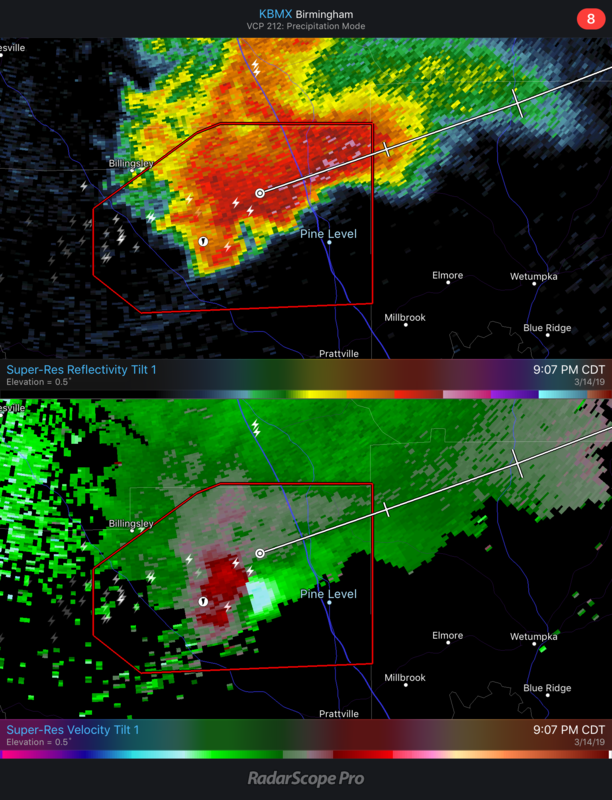 Selma storm now has one of the best couplets of the day, tornado imminent or in progress. 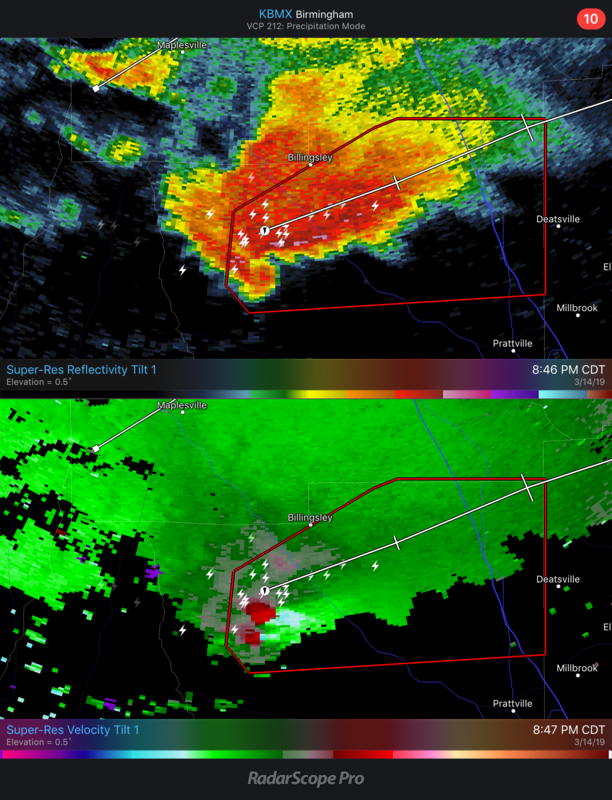 I'm seeing two couplets on it on Radarscope. 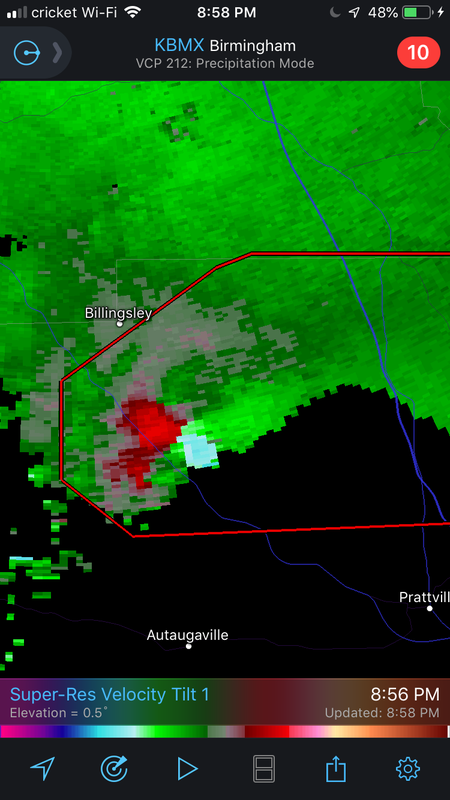 Not even a SVR on it, unless my GR 3 is not updating warnings again. It has been slow to update. As I was working the Georgia end of this event tonight, I noticed warnings were very slow to populate. Was the area where these storms currently are even in the slight risk this morning? The WSFA chief met, forgot his name, has done a terrific job with the Lee County tornado 2 weeks ago and is doing an amazing job tonight. I live in the small community of Pine Level. It is surreal to be sitting here being told the Selma tornado is 15 minutes from hitting our community. It feels very surreal and vulnerable with no shelter. I’m shaking with adrenaline. Hoping it misses us. The hook is headed right for us. Signing off for now. It looks like it might go just north of you. Take whatever shelter you can. Let us know how you faired once it passes. Stay safe as you can friend. Tornado warning for Clay a County has been CANCELLED. Wall cloud being reported with the Autauga County storm.